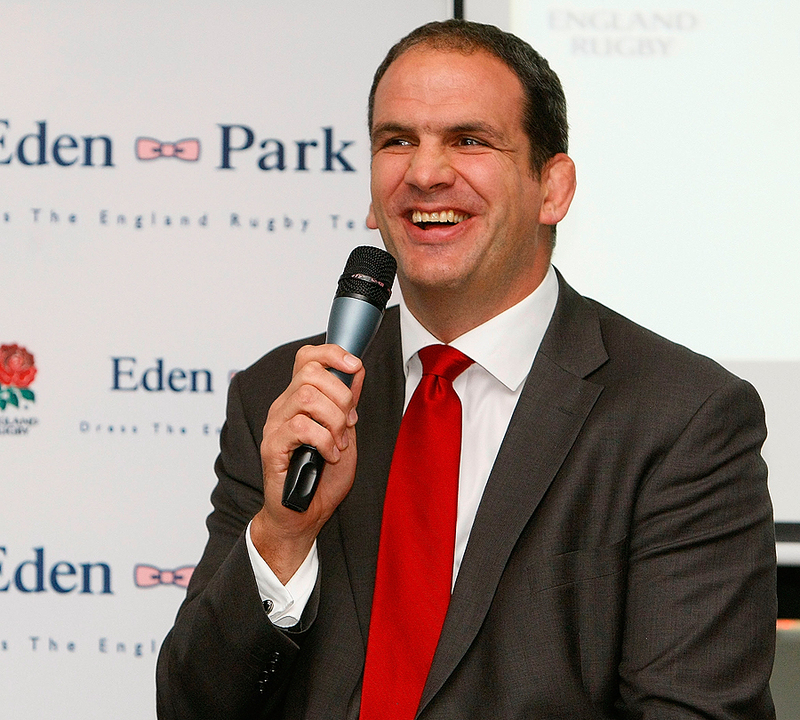 Martin Johnson is confident England's growing team spirit will help them bridge the gap to the top teams in world rugby ahead of the World Cup in New Zealand next year. England expect to welcome back captain Lewis Moody for their first of their autumn tests against New Zealand at Twickenham on November 6 after the Bath man confirmed he is a chance of returning from an eye socket injury for his club against Leicester this weekend. England manager Johnson confirmed on Wednesday night Moody was set for a comeback after nearly a month out, allowing England to focus on tackling the world's top team. Moody is also likely to be released from England's training camp to play against Harlequins on October 31 to ensure he is in top condition to tackle the All Blacks. "Lewis is pretty good. I don't know if he will play this week, it's touch and go - but he will possibly play the week after. We anticipate him being fit for rugby (in time for the New Zealand game)," said Johnson. England have shown promise under Moody's stewardship. Johnson's men were narrowly beaten in Paris by Grand Slam champions France, despite being the better side on the day, and they then bounced back from a disappointing defeat to Australia in Perth to level the series with a 21-20 victory in Sydney. Johnson insists the atmosphere inside the dressing room has been turning into a winning one but he admitted that now needs to translate to consistent performances and results on the pitch. "What is coming together more than ever is the team thing," said Johnson. "They have been through some tough losses - a two-point defeat to the Grand Slam champions, and Perth was disappointing because we didn't play as well as we can for the whole game. "The Sydney win came out of those times. We will have bumps on the road but that strength of spirit is coming now. We don't want to have to have a bad performance to spark a good one. We need consistency. We have been through some tough times and that is part of the road you travel and we will be stronger for it. "We will need to be tough again because there will be defeats between now and the World Cup unless it goes brilliantly well. We need to keep reminding ourselves we can get confidence from good performances and if we do that the results should follow. "We want to be very competitive now but you have an eye on World Cups too and we have seen in the last year or so the transtition. This autumn we play the number one ranked team in the world in New Zealand. You have to play these guys to improve. You saw the improvement game-on-game in Australia. You have to play the best in the world if you want to challenge. The team is going in the right direction." Johnson is confident that England's France-based players - James Haskell, Tom Palmer and Jonny Wilkinson - will all be available to take part in the full pre-autumn training camp. The RFU have clashed with French clubs before over the release of the players, particularly with Stade Francais over Haskell. But elite rugby director Rob Andrew has been assured that all three players have the necessary release clauses in their club contracts. Johnson and Andrew were speaking at the launch of England's six-year deal with French rugby fashion label Eden Park. "Everything you do has to have quality about it. We should provide top quality clothing on the field and off the field. Looking good as a team is part of it," said Johnson.